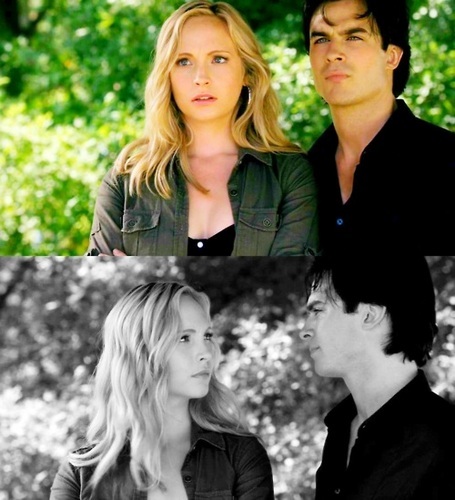 ♥. . Wallpaper and background images in the Damon & Caroline club tagged: damon salvatore the vampire diaries caroline forbes. This Damon & Caroline fan art contains porträt, kopfbild, nahaufnahme, portrait, headshot, and kopfschuss. There might also be geschäftsanzug, business-anzug, gut gekleidete person, anzug, hosenanzug, and pantsuit.